I started work on this one recently, and it's coming along nicely. 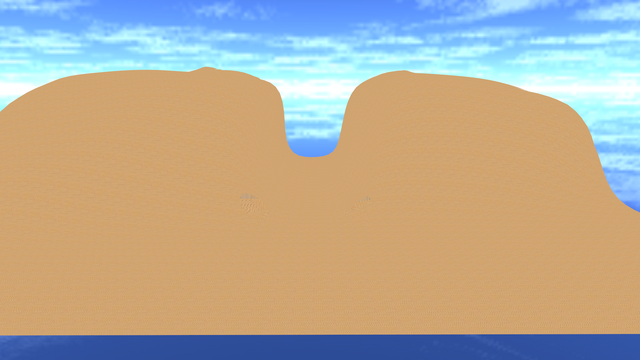 I'm kinda stuck on the texture details though. Everything else is finished. I promised I would update Overdrive MK2 a looong time ago, and it's still a WIP '^­^. It will get finished eventually though, I like the direction it is going in. 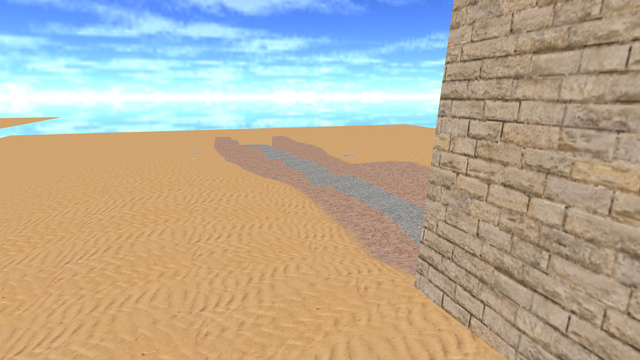 I decided to get rid of the .prm spoiler (in favor of an actual modeled one) and the gradient (in favor of a sweet shade of orange). I plan for the paintjob to be over-the-top with jets, explosions and lovely beaches with palm trees. 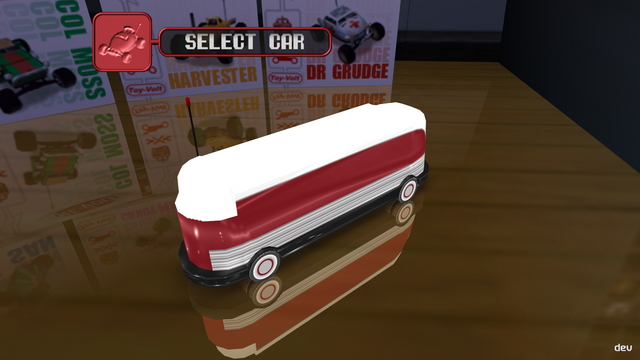 I saw a Reddit post about the GM Futurliner some time ago and wanted to recreate it in Re-Volt. The model is almost finished (missing mirrors and some polish), the texture is still very wip. Not sure when/if I'll get around to finishing it. It would be one of the few busses, so it might be good to finish some time. I created this while messing around in Blender. I don't have a plan for it currently, but it looks somewhat unique so I might try to do something with it one day. This is the track I started working on after finishing Factory. I haven't worked on it a whole lot lately but I do plan on finishing and releasing it as I'm quite happy with the concept. Some concept parts for a track set in and around a buried tomb. 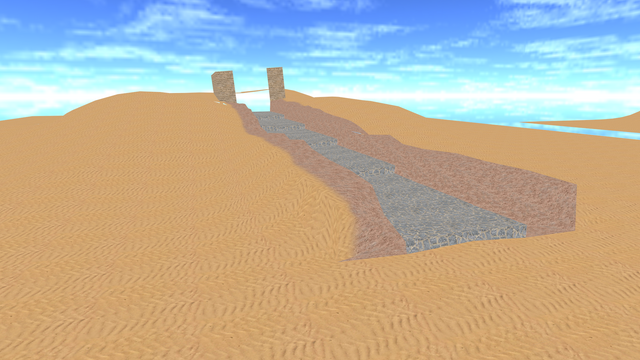 The plan is to start outside and drive inside through a giant door inside a sand hill (think Petra). The inside would have long, narrow corridors, big open halls and a cave section leading to even grander underground buildings. You would exit through a cave leading to the small building shown above, after which you'd go through an explorers camp and complete the lap. Last edited by Wichilie on Mon Jun 18, 2018 10:48 am, edited 1 time in total. 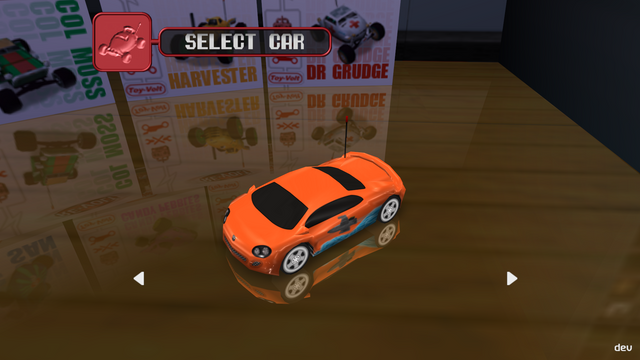 Especially the Rookie Buggy looks very promising. Hope it will get a nice livery. Regarding the tracks: The downtown map has a very complicated raceline as it seems, I‘m sure I need some laps to remember everything. The text you wrote for your Tomb-track sounds very interesting. Petra! Wonderful idea. Can‘t wait to see more of this.